Writing perhaps is the most difficult task for me, just like how cooking used to be 5 years back. I remember running out of the kitchen every time my mom would ask for cooking anything. She always wanted to have some hot chapatis directly from the skillet jumping on to her plate and unfortunately it remained a dream for her till I got married. I was toooooo lazy to cross that kitchen door and I always used to find excuses for not doing what all she wanted or expected. I was a bad daughter, really, and was spoiled like a brat by my father who would come to my side, rescuing me from all scoldings and tantrums from mumma. Now, when I narrate stories about my cooking this and cooking that everyday, she feels proud and good, because I finally learnt what she really wanted me to. My father always wanted me to be a doctor and my brother engineer, just like how you see in 3 Idiots. Dad is an engineer and for him academics have always been a priority. On the other hand, my adorable mom, like all women, wanted me to learn the house-hold basics, cooking, cleaning and so on. And me, haha...I wanted to do neither of that. I always wanted to be a designer as I was very fond of painting and creative arts, but destiny takes you exactly where you want to run away from. Believe it or not, I'm a doctor, and also I'm cooking. :) These days, painting is only a hobby that I pursue in my leisure time, and I had a Painting Exhibition in Manila during my stay there, 4 years back. But now I have realized that art is not just about painting or crafts, it's so much involved in cooking, and that's what brings me closer to the unveiled creative world of cooking. Whether baking or grilling, roasting or frying, it's all a matter of your presentation at the end. Delicious food needs to be ornamented in an equally beautiful way, and that makes your recipe artistic and an achiever. Though I'm still in the learning process, but there is still a charm I carry about my final presentation, and that is what keeps me rejuvenated in the whole process of trying out new culinary experiments. 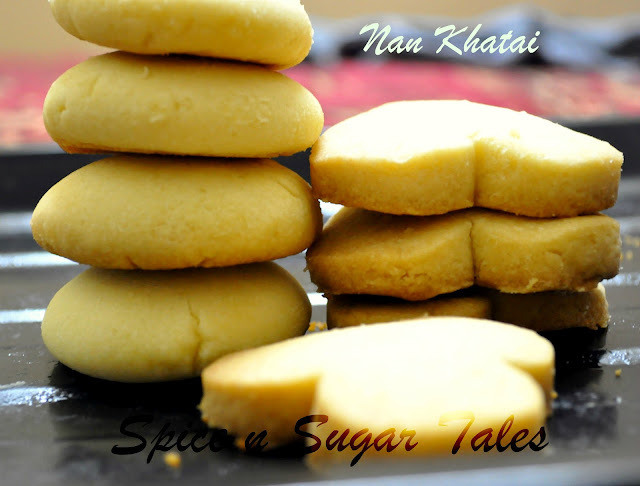 Nan Khatai is a fabulous egg-less shortbread style butter cookie without the baking soda aftertaste. This is usually prepared with Maida/ All Purpose Flour and is very soft and melting. Some people also use Sooji and Gram Flour/Besan to it with an additional topping of cashews. Sieve the maida/APF thrice with the baking soda in it. Pre-heat the oven at 160 degrees Celsius for 10 minutes and line a baking tray with parchment paper. Now take ghee (at room temperature) in a bowl and add sugar to it. Beat it well, like how one does with butter while making cakes. Sprinkle in flour slowly while softly mixing/folding with your hands. Do not overmix. Hard kneading (like how we do for chapati dough) will result in hard cookies, so avoid any pressure kneading. You'll find a soft, crumbly dough. Divide it into 8-10 equal parts and make a round ball with each. Press the ball between your palms to make it flattened. You could also give different shapes with cookie cutters. If the dough is too crumbly and you can't make a ball, pour in a little ghee (melted) and try to form it again. Place these cookies on the baking tray, keeping a distance of 2 cms between the cookies (since they expand) and bake for 12-20 minutes (depending on your oven type) till the bottom of the cookies go slightly brown. Do not over-bake else they will go hard. Transfer on a wire-rack and let them cool. 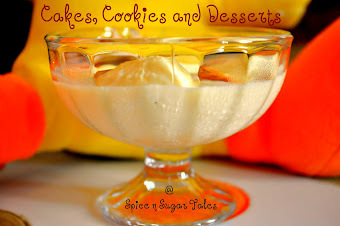 Sugar is directly related with the hardness in your cookies. The more you put, the harder they get. 2 tbs of Sooji can be pushed in for an extra crisp, but I generally like them soft and crumbly. 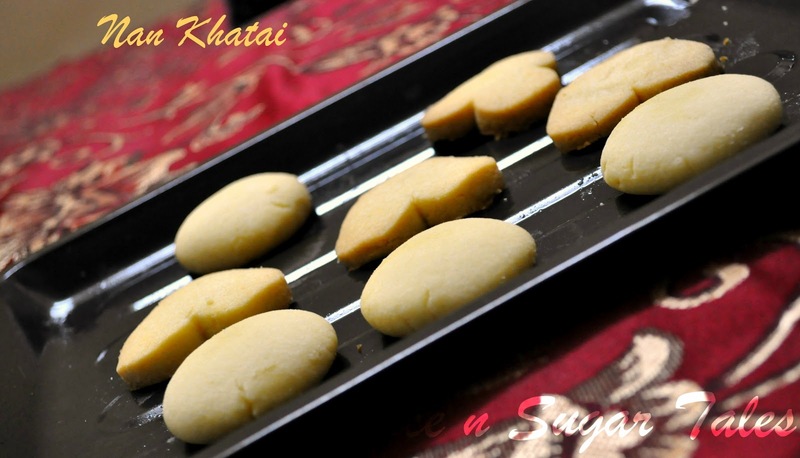 Too much ghee will result in greasy cookies, so use only that much which is required to set the dough. Perfectly baked cookies will have cracks on the top but even if they aren't there, the taste won't differ. Over-mixing of the dough and over-baking of the cookies, both will result in hardness. These can be stored for about 2 weeks in an air-tight container. You can add in a little cardamom powder if you love that aroma. Cashews can be topped on them, but I prefer the natural form. 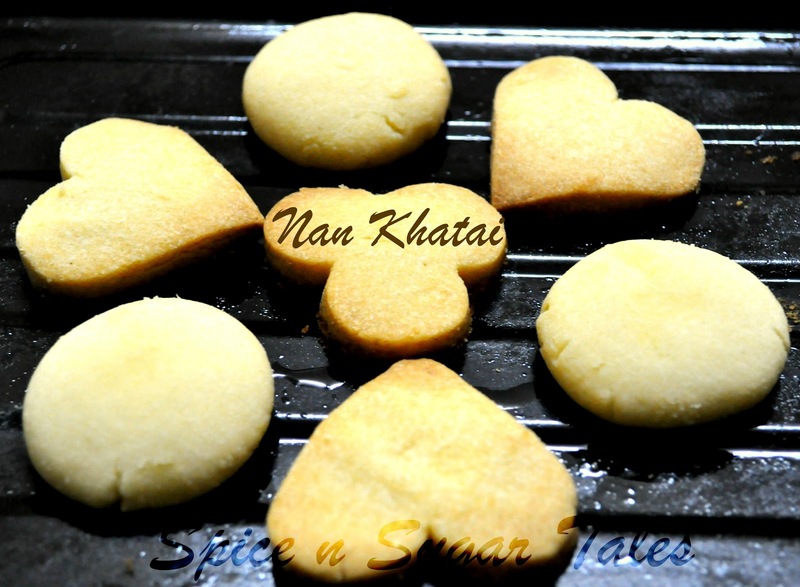 wow these nankhatai are to die for...lovely texture...beautiful clicks !! They look awesome, love that smooth texture..
What we study and what we learn are two different things. Studying is a life skill while learning is a life art. The life skill are needed to live a life and life art makes living it beautiful. The joy of creating with your hands is unique enjoy the art and share it via blog. Wow very attractive Nan Khatai looks wonderful and perfectly done !! Perfectly made! Your click is so tempting too! perfect crunchy n delicious cookies...perfectly done !! Cute cookies. Thx for linking to the event. Nan Khatais look very perfect, soft and crunchy. Great job Anjali. Keep it up. 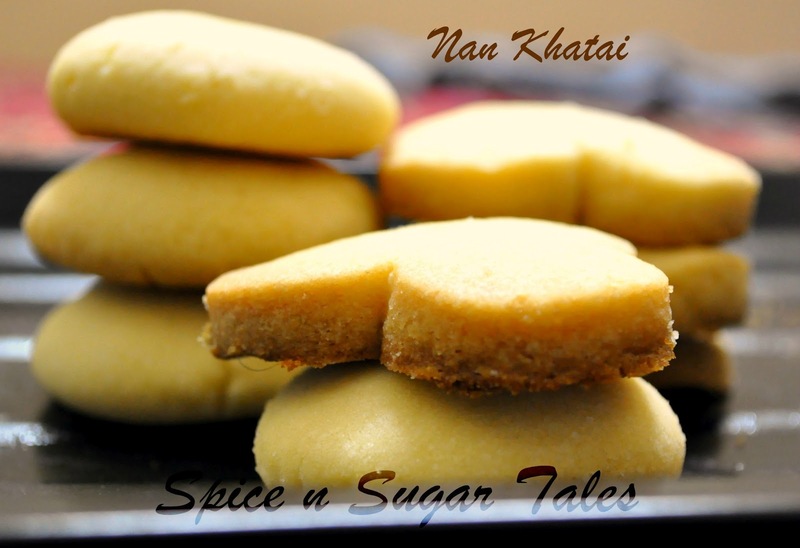 Delicious nan khatais,looks so soft n crunchy. I can smell them here !! They look delicious..
Looks so soft and crumbly...yummy! these look so nice and buttery. First time I am on your site. You have a great variety of recipes.